I have strong and fond memories of Athens. It was there that, as a young Navy lieutenant, I first picked up my six-week-old son, born during my deployment to the Mediterranean. Our new family of three spent several weeks in the Omonia Hotel while my ship was repaired at Skaramangas shipyard--but I digress. From the hills and cliffs that surround the Acropolis, I saw the glory that was Greece. I could easily understand the impact that that architecture would have had in its golden prime--indeed, still has today. 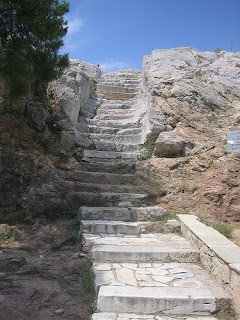 On one of those Greek hills I walked in the literal footsteps of Paul. On Mars Hill, in the shadow of the Acropolis, the apostle to the Gentiles confronted the builders of the temples of mythic gods. 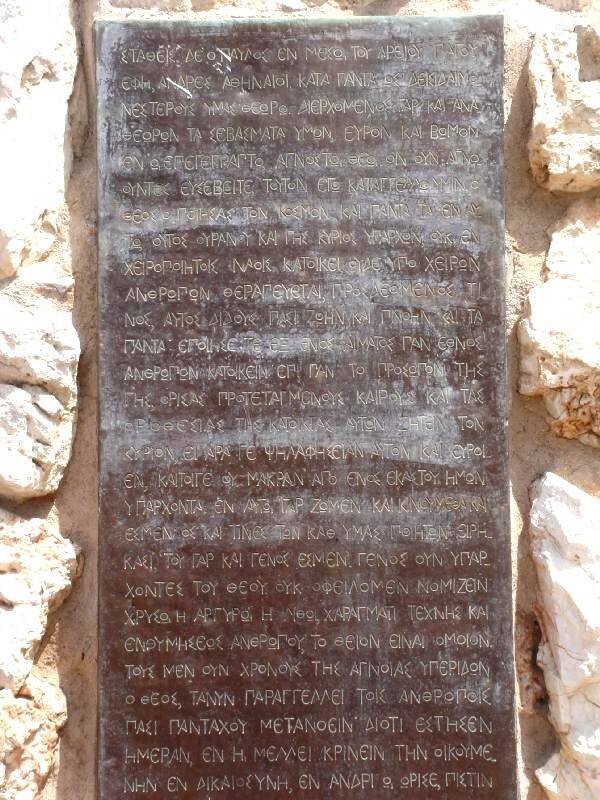 He had seen an altar dedicated to an Unknown God (the Athenians wanted to cover ALL their bases). Borrowing verses from some of their own poets, he challenged them to take a step beyond admiring the beautiful work of human hands, repent, and believe in the One God, and his appointed judge, now raised from the dead. Some of his audience sneered with ridicule--this crazy man was suggesting something contrary to reason. But others wanted to hear more, and a few of them believed and followed.We too are out here in the forums of our community, bringing our message daily (consciously or unconsciously) into the court of public opinion. But are we connecting our encouraging, joyful, generous-- though ultimately challenging-- message to the embedded spiritual longings of the wider culture we are in?